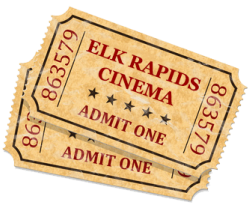 beautifully restored Art Deco theater in downtown Elk Rapids with state-of-the-art digital projection and sound. ​Showing daily from Friday, April 19 thru Thursday, April 25. ​We are located in downtown Elk Rapids, Michigan at 205 River Street. Home to the largest black light ceiling mural in the world!